There were an estimated 4.6 million smart homes in the United States in 2015, and that number is growing all the time. If you’ve ever wondered why someone would invest in something that seems unnecessarily expensive, you might be surprised to find out that smart home systems don’t have to cost a fortune. These systems are a growing trend because of the security, savings, and convenience they provide to homeowners. We’ve gathered some facts and statistics to illustrate these points. Professionally installed home automation systems start around $2,000 and can easily reach $10,000 or more, depending on the system’s size. A good rule of thumb is to plan on $1,000 per room. A professionally installed home automation system usually comes with installation and programming fees, which run around $80–$100 per hour. The hub or controller alone for a professional automation system costs between $500 and $2,000. Because you can build a DIY system piece by piece, the costs will vary greatly depending on what devices you get—but it’s possible to put together a DIY home automation system for under $500. Hubs or controllers cost between $60 and $300, though some high-end, high-tech controllers can run as high as $2,000. Many smart home controllers come with starter kits that typically range from $100 to $350. 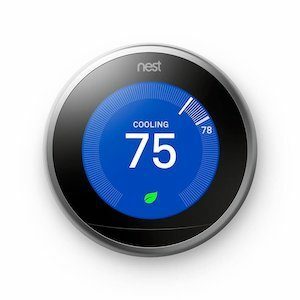 Wi-Fi thermostats cost between $150 and $300. While convenience may seem like the purpose behind a lot of home automation, many devices also provide additional security and even energy cost savings. Smart homes and home automation products are not a fad that’s going away anytime soon. The number of wirelessly connected “things” is growing rapidly and doesn’t show any signs of slowing down. People are turning to smart home automation more and more because of the added security it can bring to a home. Being alerted right away on your smartphone if something is amiss is an incredible benefit of this technology. People are also looking at the potential savings from reducing their energy costs and receiving insurance discounts. And of course, when it comes to the ways home automation can make life more convenient, the possibilities are nearly endless. We expect big things in the next few years from the smart home industry, and we’re excited to see where it takes us.